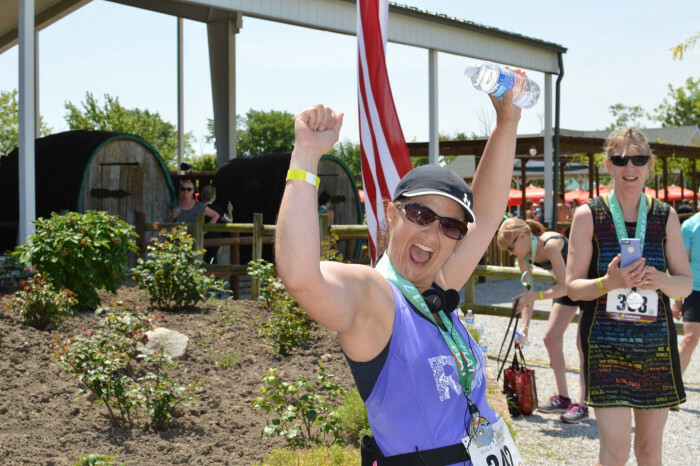 Yes the June 2018 Race is SOLD OUT! 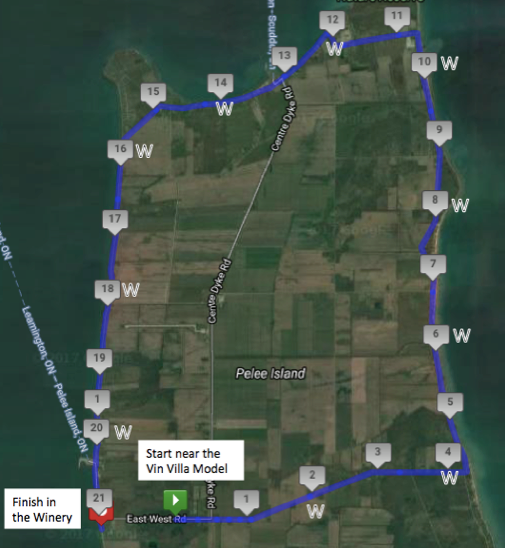 Welcome to the sixth annual Pelee Island Winery Half Marathon. 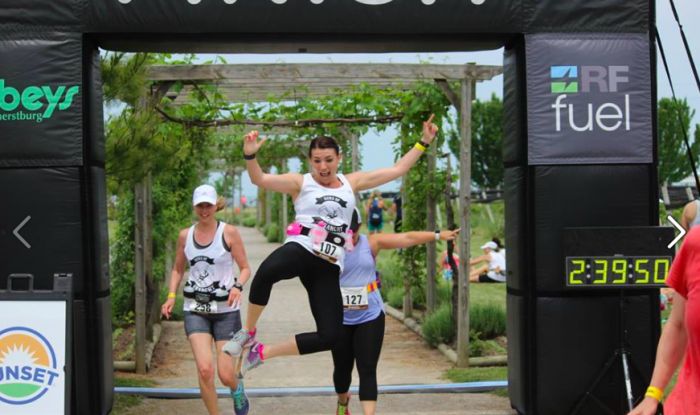 Canada’s most Southern Half-Marathon takes place on a remote Lake Erie Island, ending in a Winery. 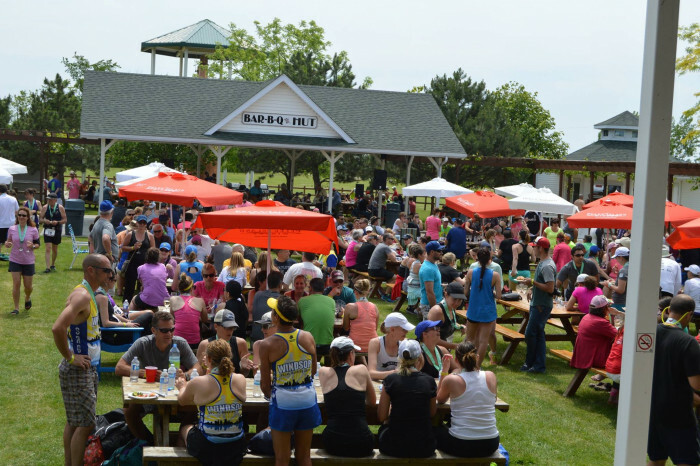 This exclusive event is limited to approximately 400 participants, who will enjoy the beauty of running around this pristine island, with Aid Stations and Port-A-John approximtely every 2K. The course is measured and certified, as well as timed, surfaced with a mixture of pavement, gravel, and tar and chip. 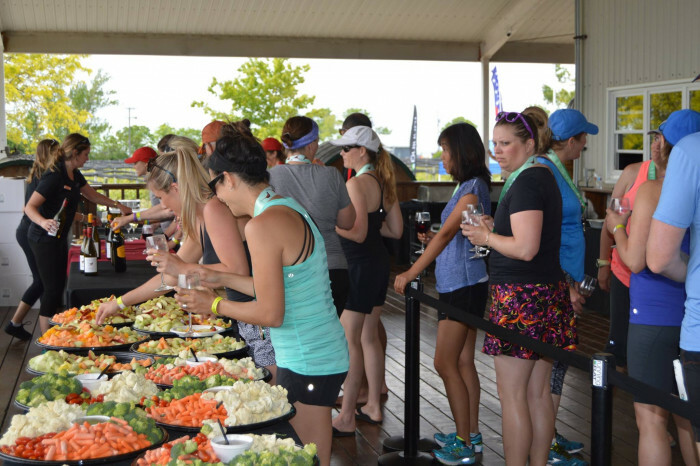 Registration includes a great Wine-inspired Tech Shirt Long Sleeve Hoodie, award winning medal, bib and a ticket to the best After-Run Party in running with Wine Tasting. For more pictures and feedback about the event go to our FACEBOOK page. 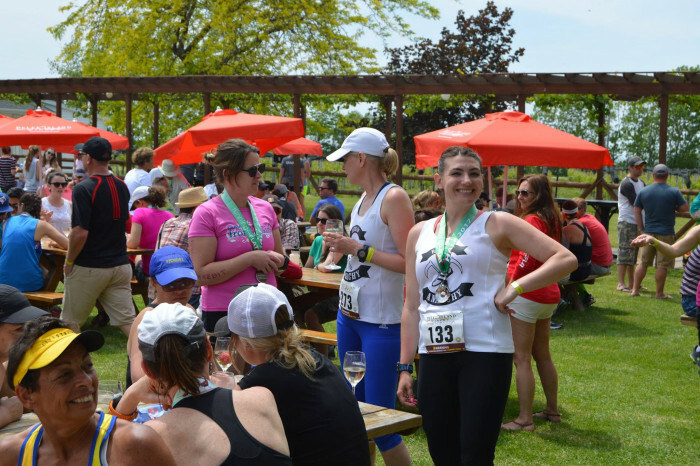 The Pelee Island Winery Half Marathon tradition is that the shirt/hoodie and medal always has the art work of the label of a Pelee Island Winery Wine. Bring your sweetheart, friends and family, to stay the night and enjoy the run in the morning (you'll have to stay the night because the ferry doesn't cross early enough that day to get to the Island in time for the run!) The night before there will be plenty of dinners and parties going on around the Island, of which you will be notified. You can also buy extra tickets for your guests to join you at the Winery for an extravagant luncheon starting at noon. Adults are $35 and kids under 11 years of age are $25 each. THESE TICKETS ARE LIMITED SO BUY NOW, DO NOT WAIT, LUNCHEON TICKETS SELL OUT. RunningFlat has a NO REFUND policy. PLEASE NOTE THE RACE IN 2018 IS ON A SATURDAY. We, again, have heard the suggestions from the runners asking to move the race off the Sunday morning and onto the Saturday. That way they can race in the morning enjoy an amazing luncheon and spend the rest of the day enjoying and relaxing on the island and not worrying about catching the ferry home. This allows them to have another great morning on the island and then leave. We are always trying to make improvements to the event where we can. BOOK NOW this race SELLS OUT Fast! 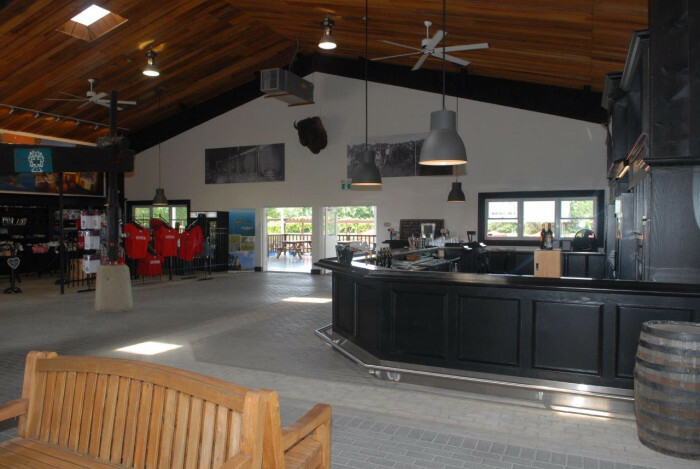 Race Kit Pick Up is inside the Pelee Island Winery. 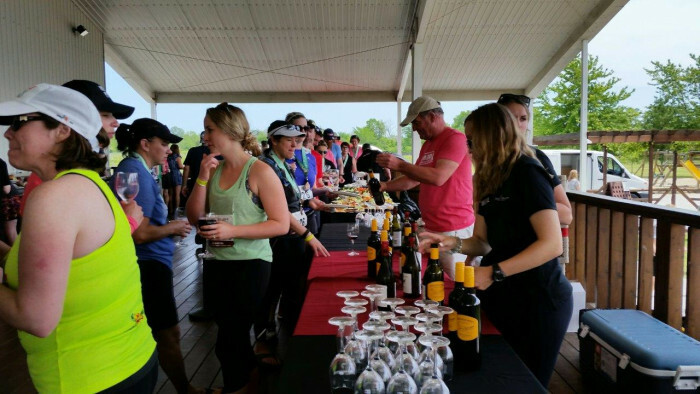 Make your way over to the Winery to pick up your bib and sample some great wines! 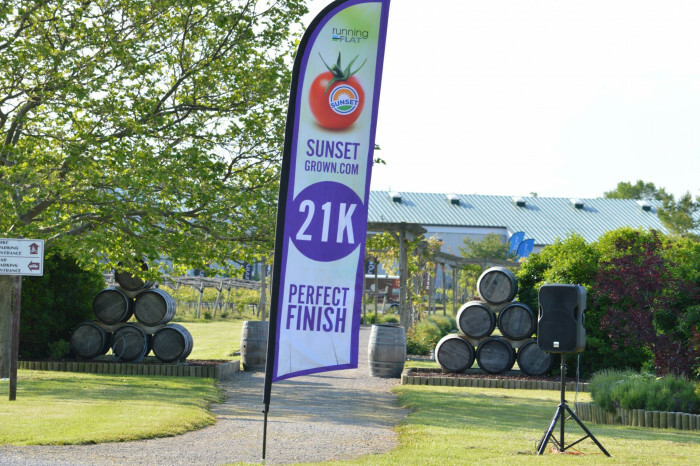 This event would never happen without the support and committment to excellence from our naming sponsor the Pelee Island Winery. History is predominant when one speaks of Pelee Island Winery and the vineyards on the island. The tradition of winning awards for its wines, on both a national and international level, continues since receiving a medal in 1878 in Paris. The first estate winery in Canada, Vin Villa was founded in the 1860’s and can still be seen on the island today. Vineyards on Pelee Island enjoy more heat units than Bordeaux, France due to the tempering effect of the lake that surrounds it. The extended growing season of Canada’s most southern inhabited island allows our grapes to reach their full potential and maturity. All these factors of sun, soil, climate and southern latitude sum up to help create an internationally recognized viticultural region. 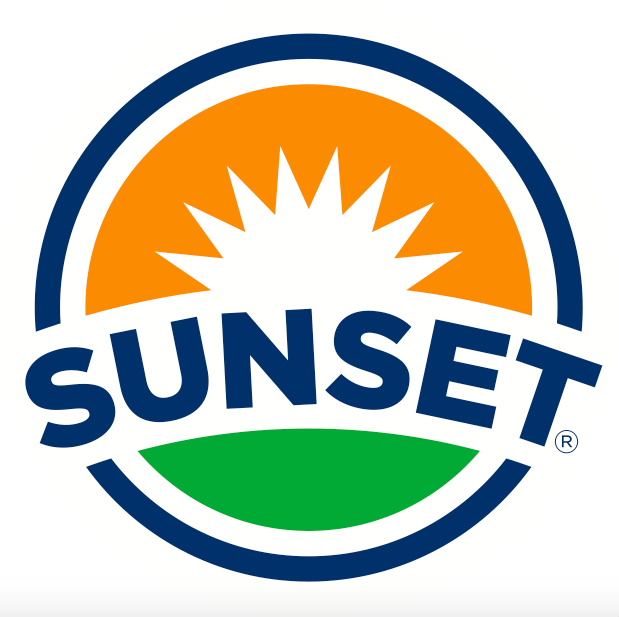 Since 1982, the production facilities have been located on the mainland in Kingsville. Visitors are invited to visit our extensive retail store and take a comprehensive tour of the winemaking establishment. 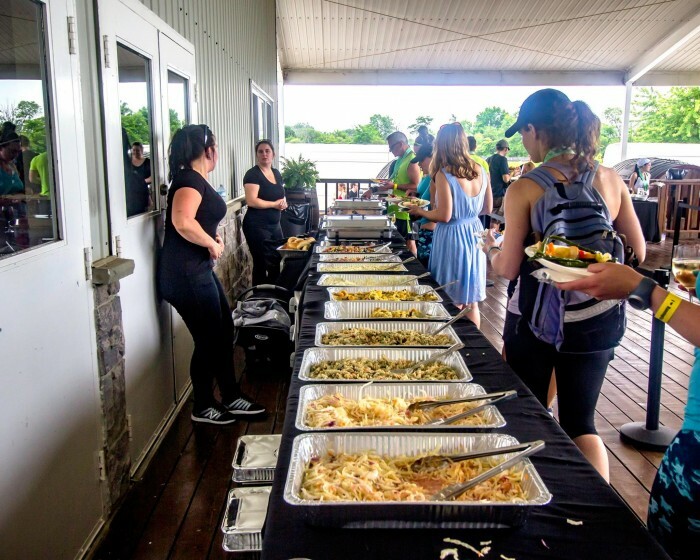 On the island we offer an equally exciting experience, where one can also take a tour, taste our wines in the vineyard and enjoy a barbecued lunch in the wine garden at our wine pavilion overlooking Lake Erie. 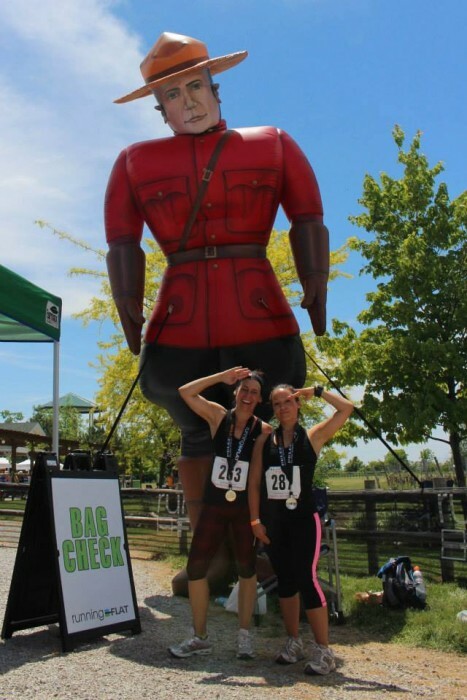 This is a very unique race, after all it is Canada's Most Southern Half Marathon and it takes place on an Island in the middle of Lake Erie bordering the United States. Epic water battles from the War of 1812 took place just off the west side of island. 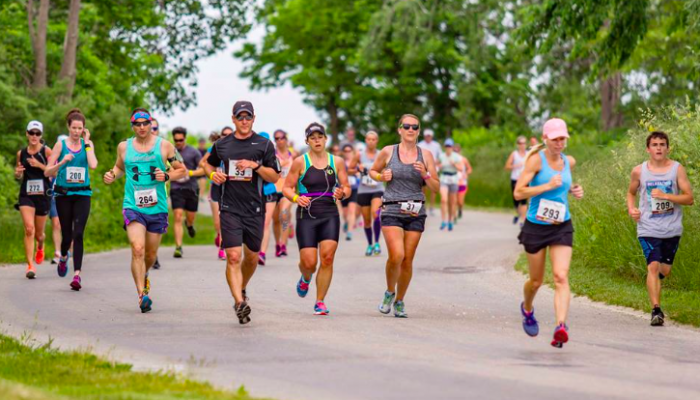 This half marathon goes 7/8ths around the island and ends in a huge party inside of the Pelee Island Winery! The Course is a mixture of road top conditions. In the new course detailed below, the first 5K is paved(Tar & Chip), the next 8K is gravel on the east side of the island. The last 8K is also back to paved roads and into the winery for an epic finish. In 2018, we will continue to reverse direction so the Start is near the Vin Villa Miniature and travels counter clockwise around the Island, ending inside the Winery. The change allows you to run the last 6Km on the west side of the island with a beautiful view of the water and a cooling prodominetly westerly wind. There are Aid Stations approximately every 2K with a Port-A-John (with hand sanitizer), RunningFlat Fuel (Infinit) and Water. There are new chillers at every aid station to make sure the water is cold throughout the course. Also, at each Aid Station is a runners aid-kit with Vasoline and bandaids. 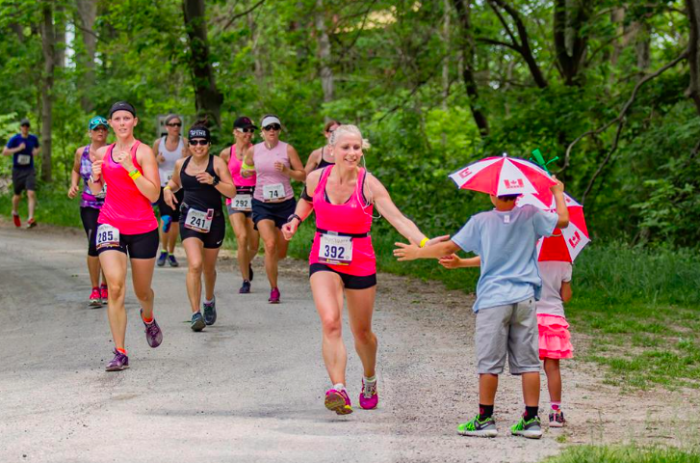 In 2016 we fielded a record 406 runners which translated into 807 visiters to the island for the race, that includes the Runners, Families, Friends and our RunningFlat Crew! Pelee Island has 25-30 Cottage Rentals, book your cottage for your group and enjoy the comforts of your own space. Please see www.explorepelee.com and check out Accommodations. Pelee Island has no official booking system. 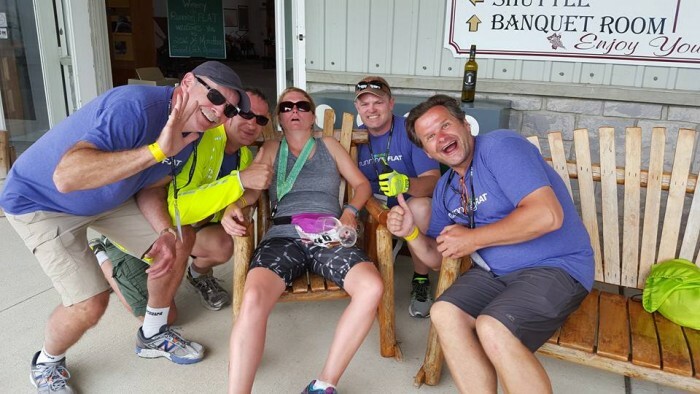 If you are experiencing difficulty finding accommodations and would like some assistance, please call Explore Pelee @ (519)325-TOUR (8687) or email accommodation@explorepelee.com and for $30 Booking Fee we would be happy to find you accommodations on Pelee and do the phoning around for you! 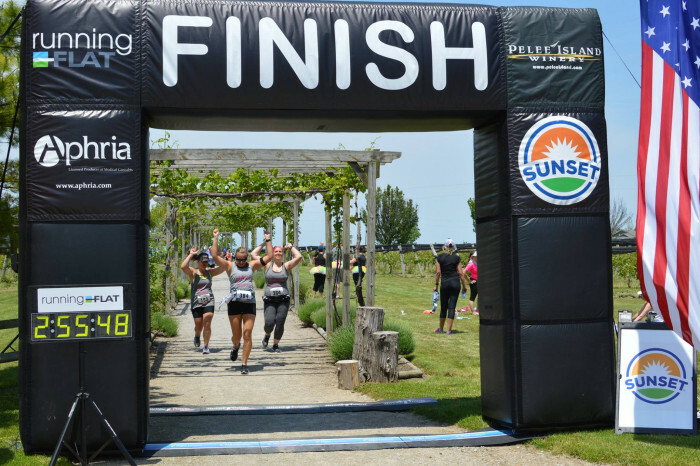 Explore Pelee would like to an extend an offer to runners to book island tours, discounted to $20 per person ($30/person value). Offering tours on the Friday before the race at 12pm and 2pm or Sunday after the race at 12pm and 2pm again. Tours may be requested at explorepeleeinfo@gmail.com. If bringing your vehicle you must call 1-800-661-2220 in advance to reserve your vehicle within the first couple of days in March, 2018. Please check the website for the exact date you can begin calling. 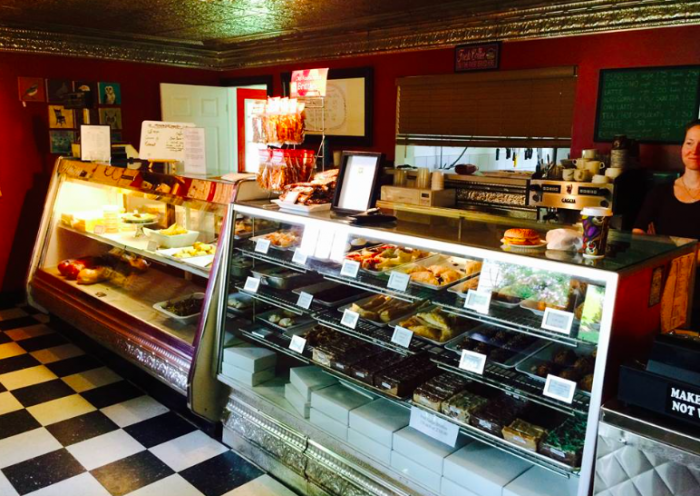 Be prepared to wait on the line for at least 30 minutes. It is a very busy calling day. First come first serve and spots are limited. Reservations are not required for walk-on passengers. 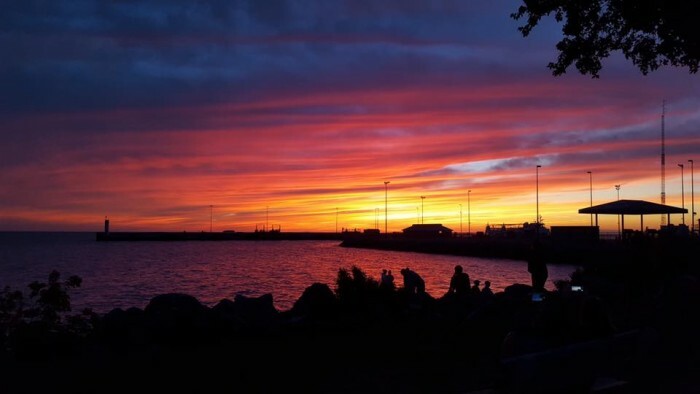 If you do not have a vehicle, there is a taxi service Explore Pelee (519)325-8687 that can drive you to and from your destinations once on Pelee Island. If you do not have a vehicle, there is a taxi service Explore Pelee(519)325-8687 that can drive you to and from your destinations once on Pelee Island. Cost is $15 flat rate for anywhere on Pelee Island for up to 3ppl, $5/person above and beyond that. Pre-booking your taxi is recommended and flexibility is appreciated, as the taxi service has 3 vehicles to service the island. Most of all this is an exotic Race on an Island in the middle of Lake Erie! So have Fun!